An insider exposes the shocking facts deliberately left out of the hit Netflix series Making a Murderer—and argues persuasively that Steven Avery was rightfully convicted in the 2005 killing of Teresa Halbach. After serving eighteen years for a crime he didn’t commit, Steven Avery was freed—and filed a thirty-six-million-dollar lawsuit against Manitowoc County, Wisconsin. But before the suit could be settled, Avery was arrested again—this time for the brutal murder of Teresa Halbach—and, through the office of a special prosecutor, convicted once more. 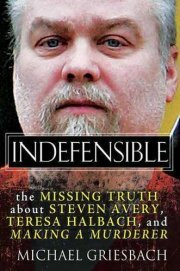 When the saga exploded onto the public consciousness with the airing of Making a Murderer, Michael Griesbach, a prosecutor and member of Wisconsin’s Innocence Project who had been instrumental in Avery’s 2003 exoneration, was targeted on social media, threatened—and plagued by doubt. Now, in this suspenseful, thorough narrative, he recounts his own re-examination of the evidence in light of the whirlwind of controversy stirred up by the blockbuster true-crime series. 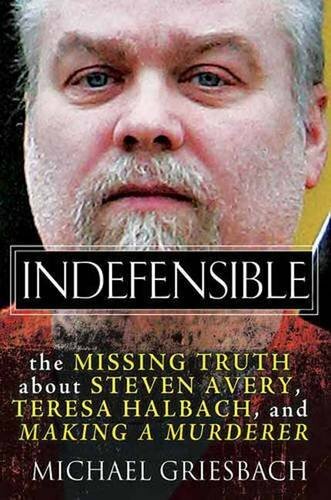 As Griesbach carefully reviews allegations of tampering and planted evidence, the confession by Avery’s developmentally disabled nephew, Brendan Dassey, and statements by Avery’s former girlfriend Jodi Stachowski, previously sealed documents deemed inadmissible at trial by Judge Patrick L. Willis—and a little-known, plausible alternate suspect—Griesbach shows how the filmmakers’ agenda, the accused man’s dramatic backstory, and sensational media coverage have clouded the truth about Steven Avery. Now as Avery’s defense counsel files an appeal and prepares to do battle in the courtroom once more, Griesbach fights to set the record straight, determined that evidence should be followed where it leads and justice should be served—for as surely as our legal system should not send an innocent man to prison, neither should it let a guilty man walk free.